Reporters, photographers and editors at The New Haven Register, The Register Citizen, The Middletown Press and Connecticut Magazine were honored with 66 awards Thursday night at the annual Connecticut Society of Professional Journalists awards banquet. 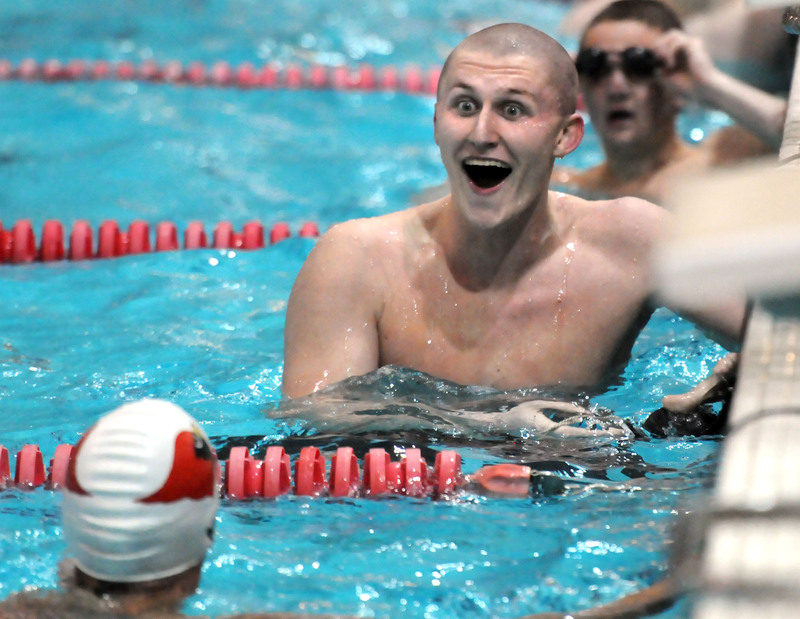 The New Haven Register’s Mara Lavitt won first place for Best Sports Photo for this shot from a high school swim championship. Recognition ranged from photo, video and interactive graphics to investigative and in-depth reporting, feature and sports writing, opinion columns and editorials. The New Haven Register’s photography staff won seven awards, including 1st place for Best Video Storytelling and Best Photo Layout for Peter Hvizdak’s feature on “dancing Marine” Roman Baca and last year’s plane crash in East Haven. Mara Lavitt won 1st place for Best Sports Photo and 3rd place for Best News Photo for her coverage of the Boston Marathon bombing. Peter Casolino won 2nd place for Best Photo Layout and two 3rd place awards for Best Sports Photo and Best Feature Photo. Mark Zaretsky won 1st place for Best Business Reporting for a feature he wrote on Connecticut’s seaweed industry. The New Haven Register also won 1st place for Best Headline, Al Santangelo’s “From jail to Yale,” and for page one layout, for coverage of the East Haven plane crash. The Register Citizen’s won five 1st place awards – for Video Storytelling (Shako Liu), Sports Reporting (Peter Wallace), General Reporting Series (Kate Hartman), Editorial Writing (Matt DeRienzo) and Photo Layout (John Berry). Liu picked up another Video Storytelling award in a weekly category, one of five 1st place honors for the Litchfield County Times. Others were for General Column, Feature Story and General Reporting, all by Kathryn Boughton, and Feature Photo, by Laurie Gaboardi. The New Haven Register won 1st place for Best Front Page Layout for this cover designed by Martin O’Sullivan and Ben Doody. Connecticut Magazine won 18 awards in the SPJ’s magazine category, including nine 1st place awards. Jennifer Swift won for Best Informational Graphic and Best Interactive Graphic for her collaborations with Stacey Slimak Shea and Ben Doody on Connecticut’s campaign finance laws and the balance of political power in the state’s 169 towns. Swift also won 2nd place awards for General Reporting and In-Depth reporting for her Connecticut Magazine stories on campaign finance and Connecticut’s car tax system and a 3rd place award for Best Interactive Graphic for a map explaining car taxes. She won 3rd place in the over 40,000 circulation daily newspaper division in an extremely competitive General Reporting category for her expose on misconduct in the East Haven police department. Other Connecticut Magazine awards included 1st place for Best Investigative Story (Chris Hoffman), Best General Reporting (Pat Grandjean), Best In-Depth Reporting (Alan Bisbort), Best Sports Feature (Terese Karmel), Best General Column (Larry Bloom), Best Opinion Column (Charley Monagan) and Best Reporting Series (Pat Grandjean). See the full list of award winners here. 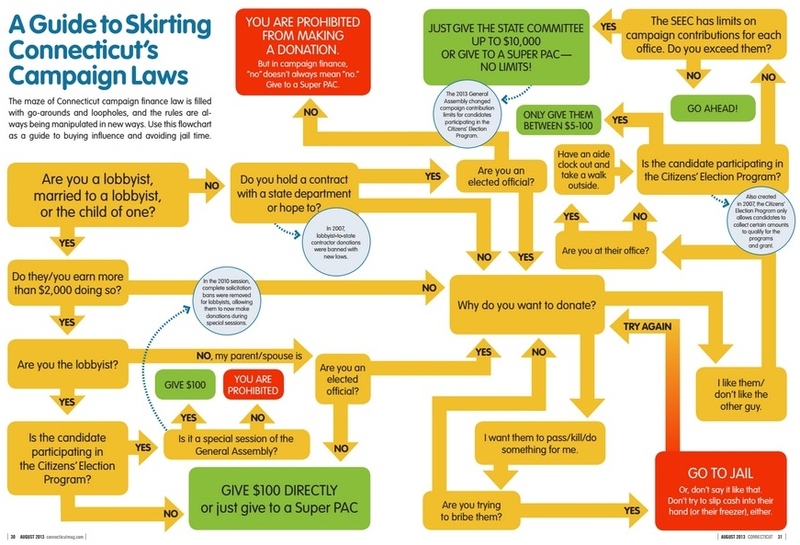 A flow chart on how to skirt Connecticut campaign finance laws won SPJ’s award for Best Informational Graphic for Connecticut Magazine. Ben Doody, managing editor of our Connecticut newsrooms for the past year and a half, has two big things to celebrate today. First, he’s been named to Editor & Publisher magazine’s “25 Under 35” list of young people who are making a huge impact on the newspaper industry. Second, he’s accepted a job as managing editor of Heavy.com, a pioneering Manhattan-based national breaking news and pop culture website. Ben has had a huge impact on our operation in Connecticut. He has taken a lead role on recruitment and hiring, bringing in an array of talented reporters and editors and establishing a remarkable record of improving the diversity of our staff – from 3 minority journalists two years ago to 14 today. He helped improve our breaking news coverage, and helped launch GameTimeCT.com, one of the most comprehensive and popular statewide high school sports outlets Connecticut has ever seen. And he was a steadying, conscientious force in the newsroom through two major elections, two major hurricanes, a 100-year blizzard, the Sandy Hook Elementary School shooting and Boston Marathon bombing. Keep an eye on our friend and colleague, and on his new venture with Heavy.com. We expect big things. Albert Yuravich has joined Digital First Media’s newsroom staff in Connecticut as director of a new regional page design center based at the New Haven Register. Yuravich led the newsroom of the Greenwich Time over the past few years as managing editor, and also assisted with a redesign of all of Hearst’s daily newspapers in Connecticut in 2012. He follows Ben Doody and Tom Cleary in making the jump from Hearst Connecticut to Digital First. Doody was Hearst’s digital news editor and is now managing editor of DFM’s Connecticut group. Cleary was a breaking news reporter at the Connecticut Post and is now co-managing editor of DFM’s Register Citizen in Torrington. But it’s also a homecoming for Yuravich, who was city editor of The Register Citizen from 2004 to 2008, where he won first place national awards for front page design and breaking news coverage from Suburban Newspapers of America. Yuravich started his career in 2002 as a sports reporter and copy editor for the Waterbury Republican-American. He holds a bachelor’s degree in English from Boston College. In his new job, Yuravich is overseeing a design center that will handle page design for Digital First Media’s newspapers in the region. One of his first tasks will be to help lead the New Haven Register through an upcoming print redesign and conversion to a new content management system. Email Yuravich at ayuravich@nhregister.com. Follow him on Twitter @albertyuravich. 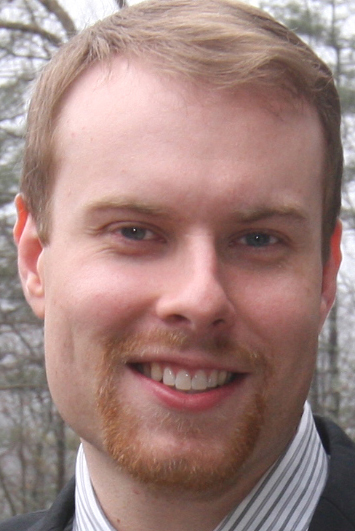 Ben Doody will re-join Journal Register Co. in a few weeks as managing editor of our Connecticut cluster. Ben is presently digital news editor of Hearst’s Connecticut newspapers, including the Connecticut Post in Bridgeport, the Danbury News-Times, the Greenwich Time and the Stamford Advocate. Previously, he worked for JRC as assistant sports editor at The Trentonian in New Jersey for more than three years, and he was chosen as an inaugural member of JRC’s “Idea Lab” thanks to his innovative work there with social media, live blogging and comprehensive local and college sports coverage. Ben holds a bachelor’s degree in English and journalism from Fairfield University and was editor-in-chief of its weekly newspaper, the Fairfield Mirror. While still at the Trentonian, Ben started to cross over to become more involved in regular news coverage vs. just sports, and at Hearst, he started out as morning news editor overseeing breaking news coverage statewide before being promoted to a wider digital news role. In the new role with JRC Connecticut, he’ll help the group editor coordinate statewide news coverage and continue our reorganization around breaking news, community engagement and investigative and enterprise reporting. He’ll also lead the cluster’s transition to redesigned print editions and redesigned web sites and oversee training and career development of Connecticut newsroom staff. 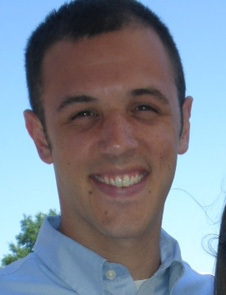 Matt DeRienzo is group editor of Digital First Media's publications in Connecticut, including the New Haven Register, Middletown Press, The Register Citizen of Torrington and non-daily publications including Connecticut Magazine, the Litchfield County Times and West Hartford News. Contact him at mderienzo@21st-centurymedia.com.